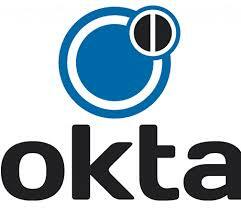 Okta Inc (NASDAQ: OKTA) stock enhanced over 8.7% on December 6th, 2018 (As of 10:28 am GMT-5; Source: Google finance) on solid results for the third quarter of FY 19 and forecast an outlook that topped Wall Street estimates. The company continued to invest across the business, while improving the bottom line. Operating margin improved over 22 points and free cash flow margin improved more than 18 points year-over-year, making the company free cash flow positive for the first time. The company also had a record quarter in terms of customer growth. The company has added over 450 new customers in Q3, bringing the total to over 5,600 customers. The company saw 55% growth in customers with over $100,000 in annual recurring revenue, which represents a record 100 net new adds in a quarter. OKTA in the third quarter of FY 19 has reported the adjusted loss per share of 4 cents, beating the analysts’ estimates for the adjusted loss per share of 11 cents. The company had reported the adjusted revenue growth of 58 percent to $105.6 million in the third quarter of FY 19, beating the analysts’ estimates for revenue of $96.93 million. Subscription revenue totaled $97.7 million in the third quarter, an increase of 58% year-over-year, representing 93% of our total revenue, up slightly from 92% in Q3 last year. Professional services revenue was $7.9 million, an increase of 56% over the same period last year. Revenue from outside of the US grew 58% year-over-year and represented approximately 16% of our third quarter revenue, consistent with Q3 last year. The current portion of calculated billings growth for the quarter was 57% year-over-year. Total calculated billings for the third quarter totaled $124 million, an increase of 58% over Q3 last year. Moreover, Subscription gross margin continues to be strong at 82.2%, up 180 basis points versus the third quarter last year. The professional services gross margin was negative 3.2% compared to negative 30.6% in the third quarter last year, primarily due to strong utilization and improving operational leverage. Total gross margin was 75.8% in the third quarter, up 380 basis points year-over-year. Gross profit was $80 million, up 66% year-over-year. For the fourth quarter, Okta expects an adjusted loss of 9 cents to 8 cents a share on revenue of $107 million to $108 million, while analysts had forecast a loss of 11 cents a share on revenue of $99.9 million.